Thermae of Caracalla: book your tickets now! Your visit to the Thermae of Caracalla will allow you to see the subdivision of one of the largest Roman baths and understand how important they were in the life of the Romans upper class. The Caracalla Thermal Baths were designed based on the plans of the Baths of Trajan, four entrances were created in the enclosure. For the construction of the thermal complex, a collection of underground tunnels that cross almost the entire surface of the thermal baths were built. Here were located the ovens, the boilers, the tanks, a mill and the mithraeum. Through the narrower tunnels, passed the pipes which flowed the water that fed the thermal baths. The Caracalla Thermal Baths have been the subject of excavations over the centuries. This brought to light numerous objects and works of art that adorned the Thermal Baths in the years of its splendor. 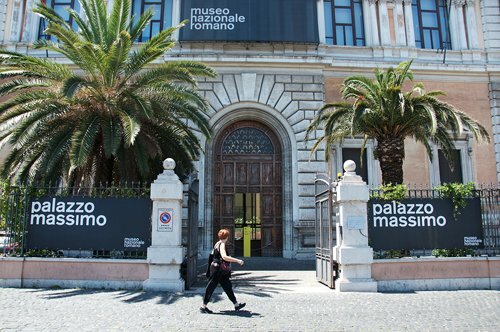 In particular, during the excavations of the 16th century, the three Farnese sculptures were found: the Bull, the Flora and the Hercules that today can be admired in the National Museum of Naples. In the Vatican Museums, on the other hand, there is a mosaic with 28 figures of athletes that embellished one of the gyms of the Caracalla Thermal Baths. The Caracalla Thermal Baths were built on the slopes of Piccolo Aventino. The construction began in 212 AD and was inaugurated in 216 AD by Emperor Caracalla. To ensure that the flow of water to the Thermal Baths was greater, a special branch of the Roman aqueduct was created and, to facilitate access to the hot springs, the section of the Appian Way was extended. In 537 AD the Goth people destroyed the plants that carried the water to the Thermal Baths, putting an end to the activity of the place that had lasted three hundred years. 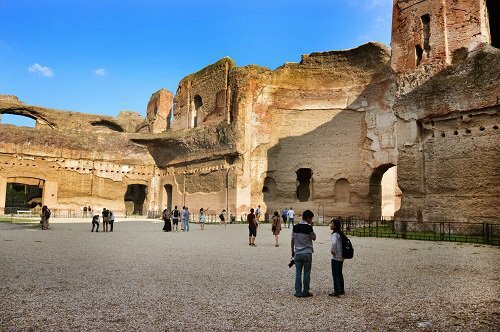 The Thermae of Caracalla were the most impressive public baths built during the Roman Empire, at least until the Thermal Baths of Diocletian were opened, in fact they could hold up to 1500 people. Over time, the thermal structure was used for other functions, houses emerged and then used as an agricultural area, especially for the cultivation of the vine. It was abandoned in the 6th century and the material that was part of it, even the most valuable as marble and metals, were reused for the construction of other prestigious buildings. The Thermae of Caracalla are currently one of the best examples of thermal baths of the ancient Rome. The Thermal Baths, besides being a place for baths and body care, were also a place to study and taking walks. 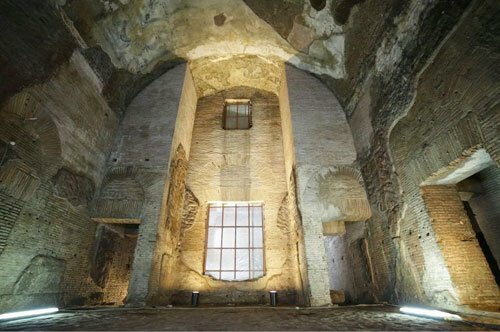 Even today, if we are located in the main axis of the Caracalla Thermal Baths, it is possible to see the subdivision of the complex in the caldarium, tepidarium, frigidarium and natatio. The building was also formed by gyms and other rooms from which it is still possible admire the beautiful decorations that adorned the surroundings. Did you know that in the underground of the Caracalla Thermal Baths is the largest mithraeum ever built in Rome? The mithraeum is a natural cave or artificially constructed, therefore, a dark place with no windows, where the followers of the mitronesimo, a mysterious religion, met. The mithraeum of Caracalla has a central plane with cross vaults as roof and has two lateral balconies. Did you know that it was possible to access the Thermae of Caracalla by four doors on the northeast side? Two of them led to the arcades that bordered the natatio, that is, the pool. Of the four granite columns that decorated the natatio, only one is preserved until today and is currently located in Piazza Santa Trinita in Florence. 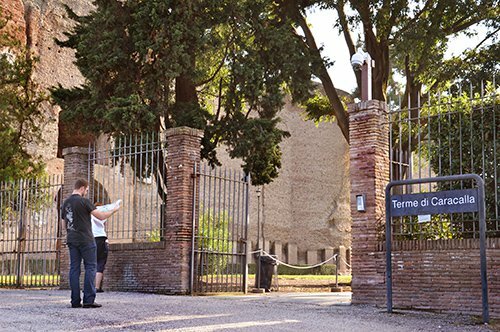 It is possible to visit the Thermae of Caracalla by buying the tickets online. We recommend that you choose the option with audio guide to deepen and complete your visit. Another very interesting option is the visit of the site in 4D: a new virtual guided tour that will allow you to discover the original aspect of the Baths. If you have visited the Caracalla Thermal Baths, not far away you will find other places where you can see the monuments and ruins left by ancient Rome. 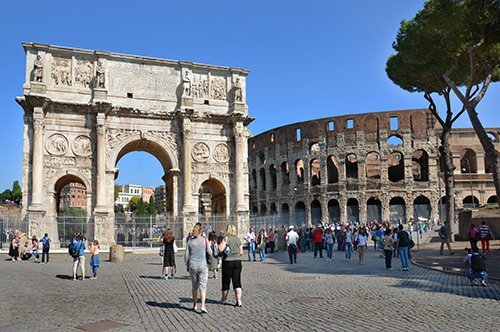 Passing through the Circus Massimo, you will reach the most famous monument in Rome, the Roman Colosseum. Continuing your journey, not far away you can admire the Roman Forum, the Palatine and reach the monumental Altar of the Fatherland. 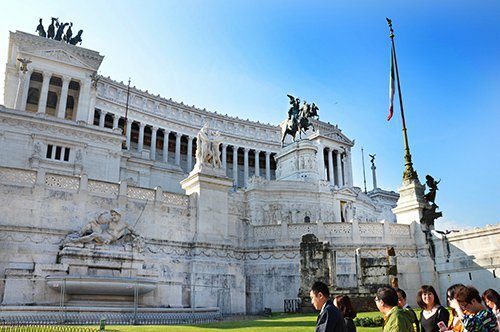 If you continue your tour of Rome, with the help of the Map of Rome, you can head towards the Tiber River and visit the Pantheon and the elegant Navona Square. 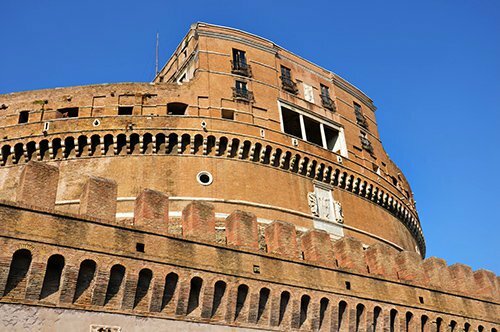 Crossing the river you will be very close to Castel Sant'Angelo where you can visit its museum, and not far, you can cross the threshold of the Vatican City. Here you will have the opportunity to admire the beautiful St. Peter's Basilica, the Vatican Museums and the Vatican Gardens, you can visit the Sistine Chapel with its all over the world famous frescoes. 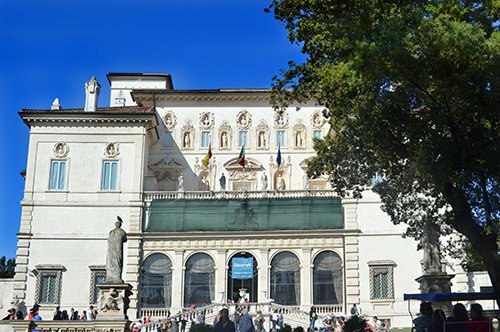 One of the most beloved parks in Rome is the Villa Borghese garden; inside you can visit the Borghese Gallery, the Terrazza del Pincio (Pincian Hill) and the Bioparco di Roma. 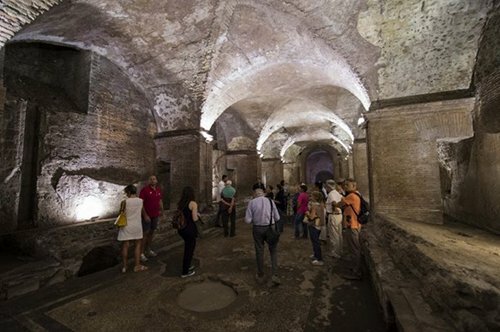 If instead you prefer to continue your visit through the places of Rome for a while, you can visit the Domus Aurea, the Catacombs, the Capitoline Museums and the Roman National Museum complex.  In Via Appia Antica you can also visit other places of great interest such as the archaeological site of Villa dei Quintili and the Tomb of Cecilia Metella. 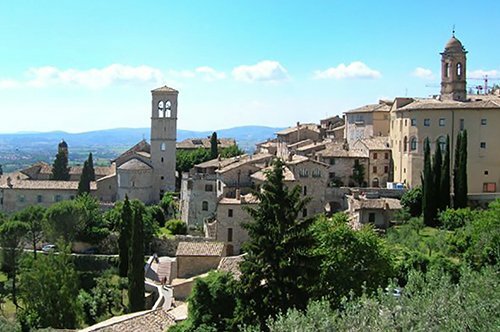 If you want to leave Rome, there are many characteristic and fascinating places that you can visit, for example, on the slopes of the Tiburtini mountains, you can visit the beautiful Villa d'Este in Tivoli and, closer to Rome, at the Albano Lake you can visit Castel Gandolfo the summer residence of the Pope.